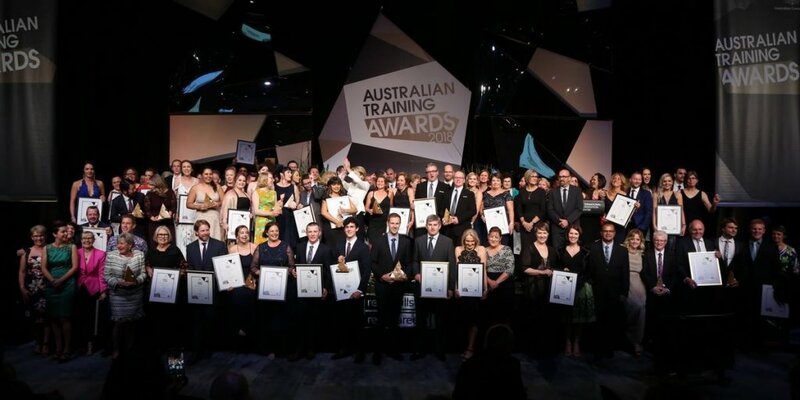 Following on from the success of winning Training Provider of the Year at the South Australian Training Awards in October, PEER is thrilled to be announced as Australia’s Small Training Provider of the Year! 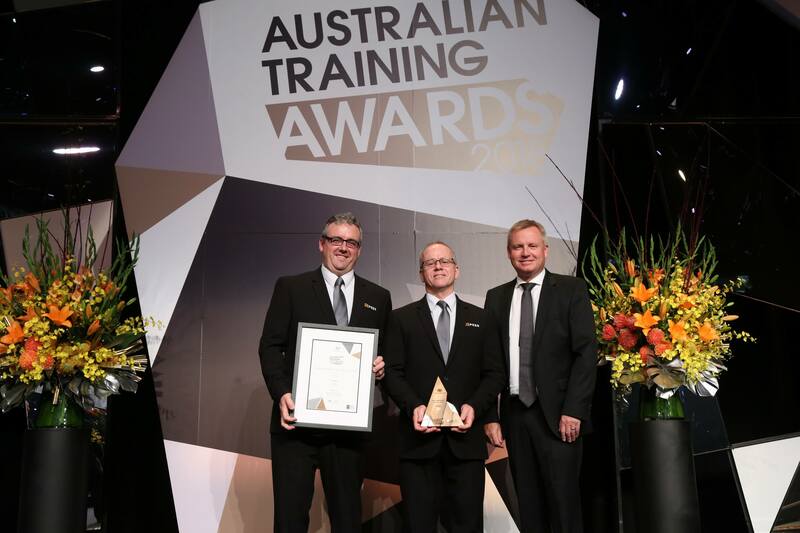 PEER was presented this prestigious award on Thursday 15 November at the Australian Training Awards gala dinner, held at the International Convention Centre in Sydney. 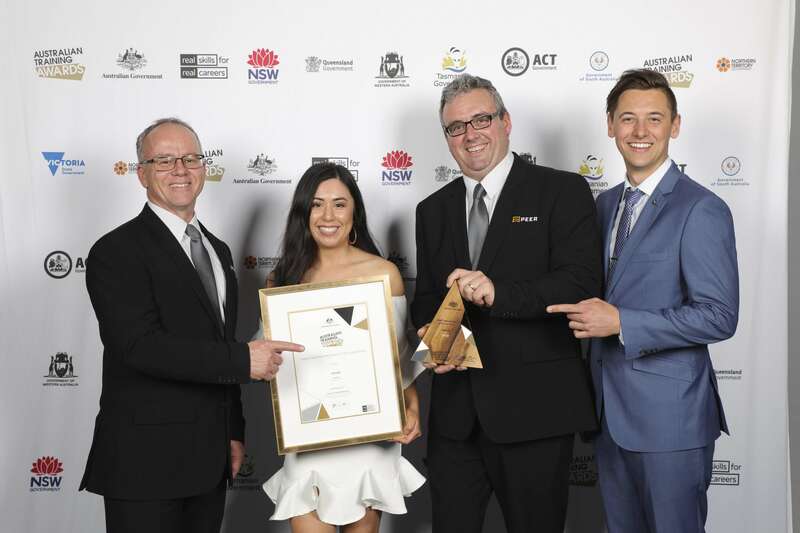 This national award recognises registered training organisations that have demonstrated excellence and high level performance in all aspects of vocational education and training. PEER is also extremely proud of electrical graduate: Jarrod Morton, for being recognised as Australia’s Apprentice of the Year! The Apprentice of the Year award is presented to an apprentice who has been outstanding in all aspects of their trade, and shows great commitment to vocational education and training. Jarrod successfully completed his electrical apprenticeship with PEER and was hosted with BW Thompson Electrical Pty Ltd, where he is now employed as a qualified electrician. “Being able to represent my state at the Australian Training Awards, has been an honour. It was awesome to establish relationships with all the finalists and to celebrate my success with my family and friends” said Jarrod Morton. Jarrod’s ultimate ambition is to become an electrical engineer and he saw an opportunity to fulfil this through the pathway of an electrical apprenticeship. “Over the past couple of years, we have taken PEER to the next level of: operational excellence, world class learning resources, student centered learning and caring for our students,” he says. PreviousPrevious post:MPA SA 2018 President’s LunchNextNext post:Communications Apprentice of the Year!